I have been a fan of Candida Höfer’s quiet, frozen-in-time style of photography for a long time, but I only know her work from books so I was really pleased when I heard she has a show on at Ben Brown Gallery in London. I made a bee-line for it on the first day. I was the only visitor in the Ben Brown Gallery – how lucky am I?! 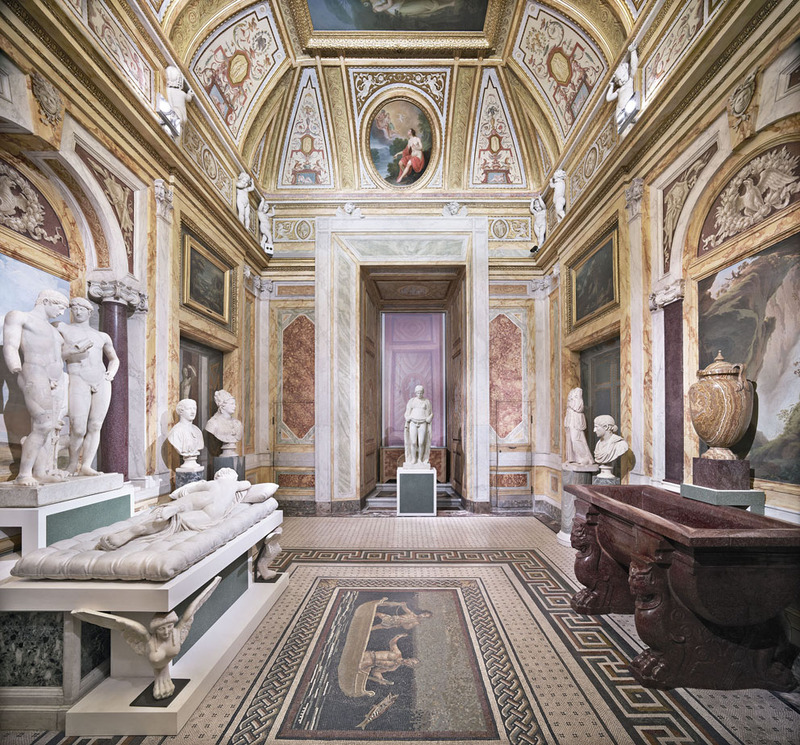 the uncluttered space suited the images of Villa Borghese, which contain both empty space and lots of detail. 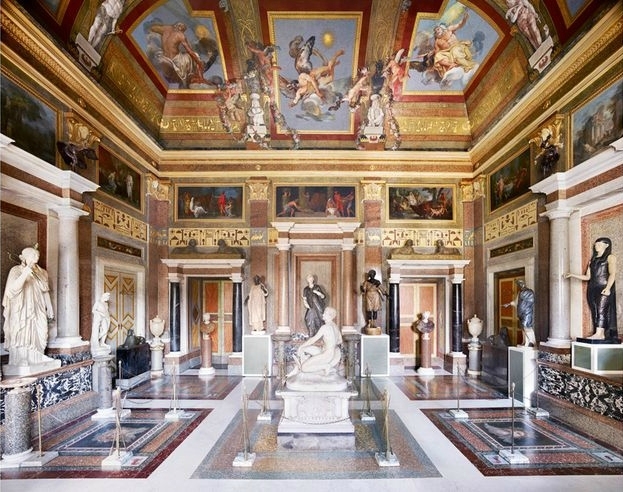 Candida Höfer was a student of the Bechers at the Dusseldorf Kunstakademie from 1976 to 1982, where she was contemporary with the likes of Andreas Gursky, Thomas Struth and Thomas Ruff. This school of photography encouraged students to find then stick to their own photographic path, though within the framework of the built environment and a series-approach to image-making. Höfer’s own path has taken her from 35mm to 6x6cm then to 5×4″ film, but virtually always in colour. 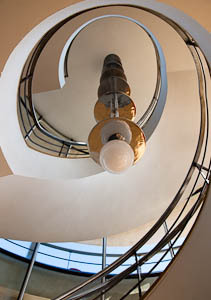 She has specialised in architectural interiors but she achieves something more than a competent photographic record. She manages to use the underlying dicotomy of photography, that it both abstracts the scene as well as records the detail of what is in front of the camera, to great artistic effect. I have been a fan of her images for a long time but I only know them from books, so it was with cautious anticipation that I went to this exhibition of her large prints. I am always skeptical of photographers who exhibit large prints; it seems to be what their buyers demand but does the photograph really benefit aesthetically apart from the initial visual impact? Well in Höfer’s case, yes they do have value at the larger size, allowing us to see details that are less apparent in books. 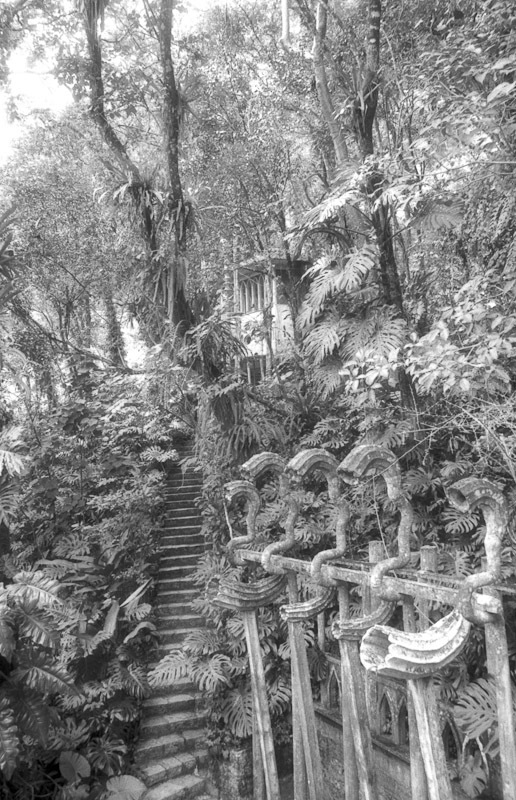 All the pictures on show use single-point perspective, giving the exhibition an immediate visual coherence and symmetry. But not quite: although the basic architecture and composition is often symmetrical, the decor and sculptures break the symmetry in a way reminiscent of Chinese art. I wondered whether Höfer was now adopting single-point as a personal style but a check for other Villa Borghese images on-line show that she also uses dual-point perspective where she feels it is appropriate. Her photographs do not include people and her style has been referred to as The Architecture of Absence, that’s to say that people are implied rather than present. Her photos here are no exception and conjure up a mental image of noisy, unruly crowds of visitors waiting impatiently outside while the photographer works quietly and unhurriedly inside on our behalf. I recommend exploring Candida Höfer’s photography if only by visiting this exhibition, which is on until 19 September 2014. The gallery is in the Oxford Street/Bond Street area at 12 Brook’s Mews, London W1K 4DG. 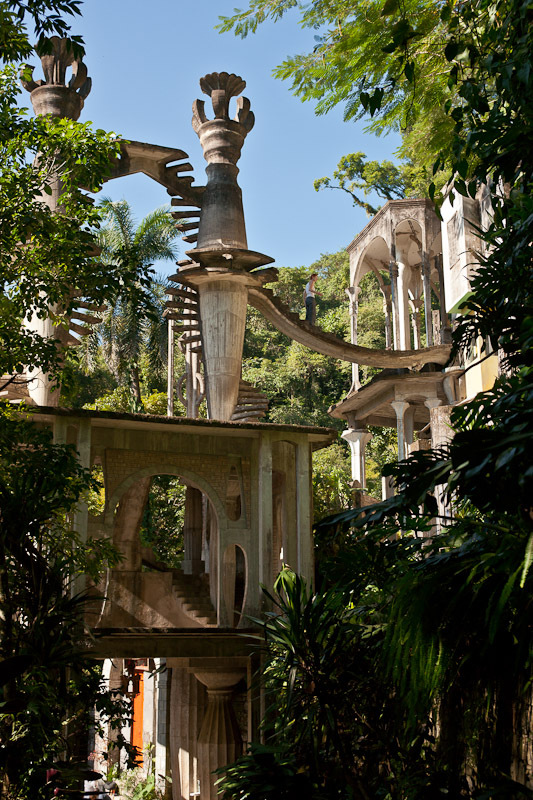 Is Edward James’ garden, Las Pozas, surreal? 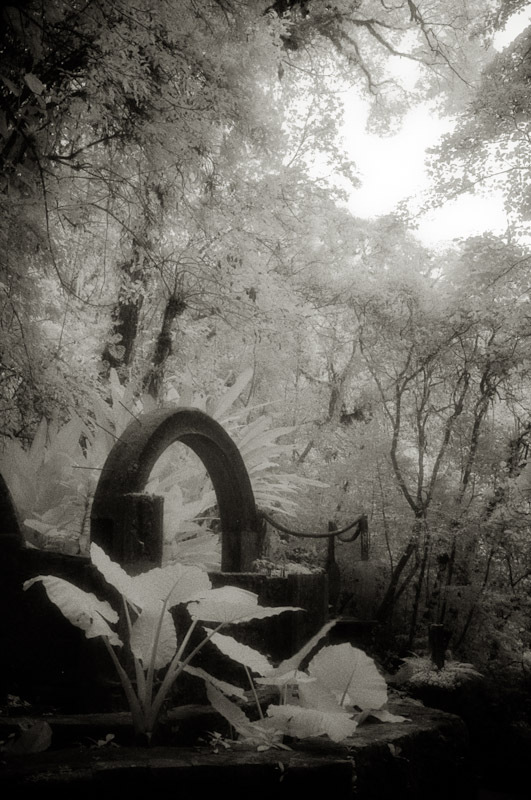 the label of “garden”, but for me it is without doubt a fantastical, exuberant surreal garden. But how to photograph it? Taking colour photographs provides a great record but is somehow too “real”. 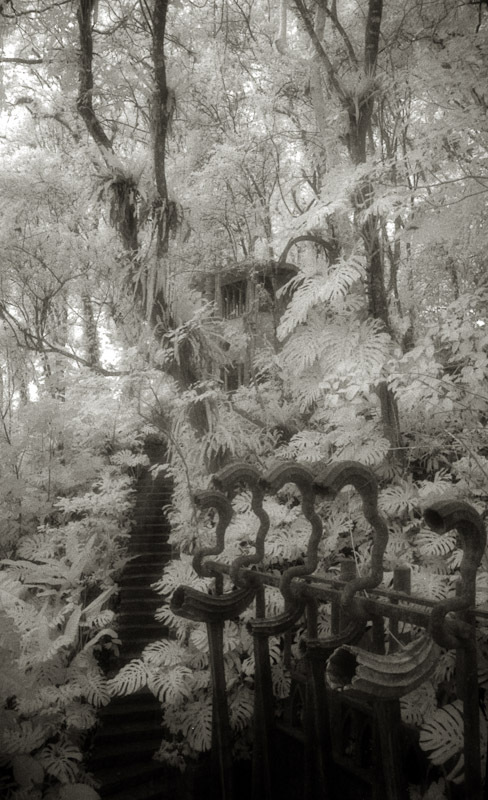 Photographing in black & white provides a useful degree of abstraction to the images without being sufficiently surreal, so I tried black & white infrared film. 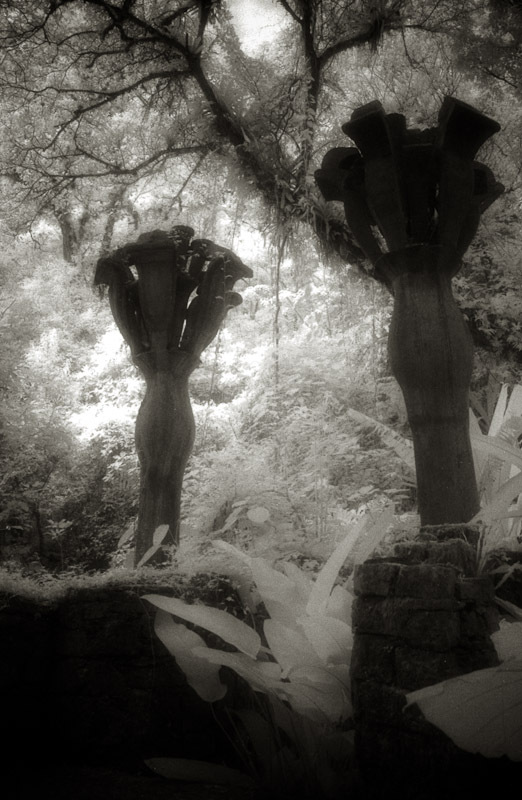 I hoped that the pale foliage against the dark concrete would give me that other-worldliness I was after. Here are some examples. Do they work for you? 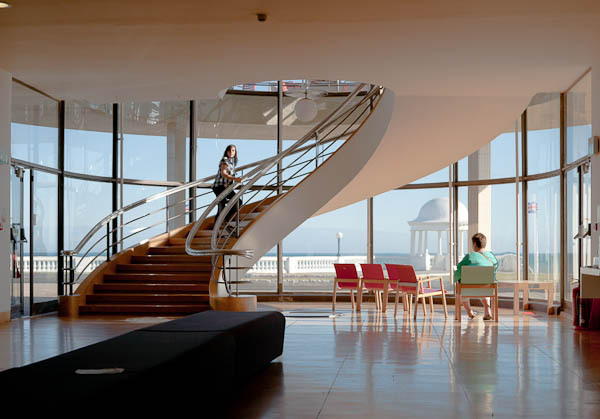 I’ve been intending to visit the modernist De La Warr Pavilion on the south coast of England for some time, so when I heard that Anthony Gormley was exhibiting a version of Critical Mass on the pavilion’s roof, the opportunity to see both was too good to miss. It was a warm sunny and breezy day when I visited and the pavilion was at its best – a marvellous study in light and shade, which changes character as the sun moves round. On the roof terrace were Anthony Gormley’s cast iron figures being brilliantly lit by the sun, which made the shadows as interesting as the figures. 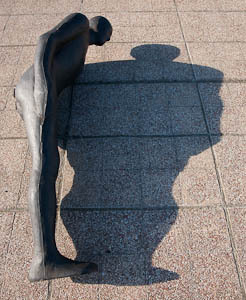 I started by seeing the sculptures as objects; cast iron shapes in almost abstract form, but as I walked between them looking at detail – the rust pockets, the fall of light and shade – I started seeing the resemblance to the bodies at Pompey, where the volcanic ash has preserved the shape of the huddled figures even though the body has long since decayed. It was as though Gormley’s figures and those at Pompey were negatives and positives of the same event. 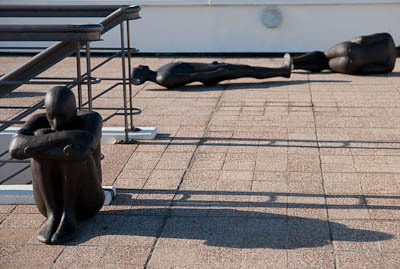 And the Gormley figures are a black – negative – version of his own white body from which the casts were made. My final reaction to the sculptures was how they must resemble bodies on a battlefield or exhumed from a mass grave. Although I’ve never been in this situation for real, I can imagine anyone who has would have their memories re-kindled by this display. Despite my rather macabre reaction to the exhibit, it is was well worth the visit.